For me Memorial Day is the official start of picnic season and with that comes grilling and yummy salads. 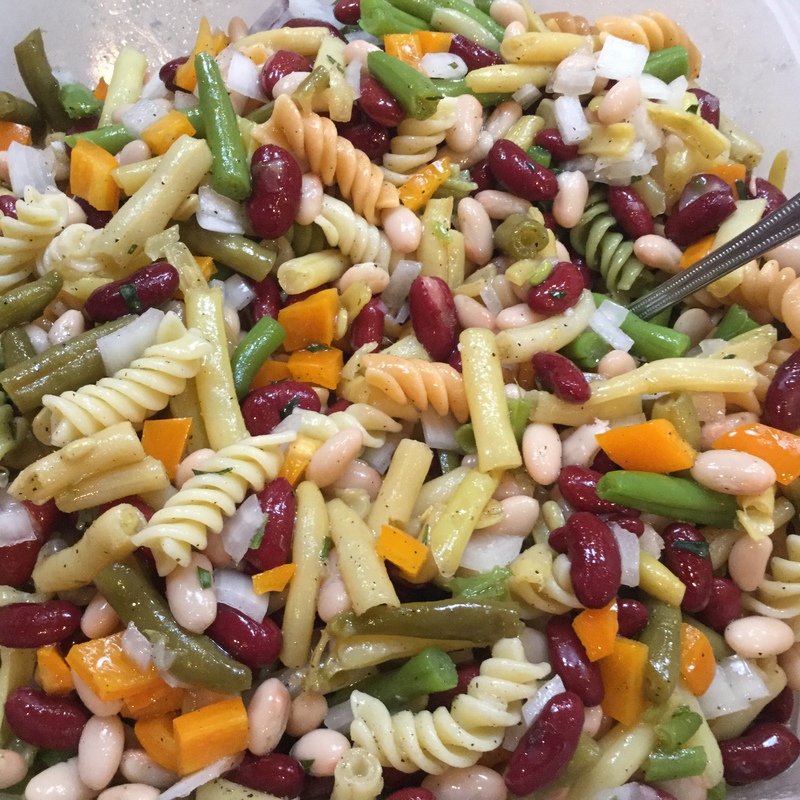 One of my husbands favorite salad is my bean salad. It is easy to make, keeps well and is full of healthy things. We normally use it as a side, but sometimes I will make us a regular salad with lettuce, carrots, etc. and then add the bean salad to the top. Happy Memorial Day and thank you to all those who fought and are still fighting for our freedom. PS. Thought I would share a few pictures of my father in uniform. He served in WW2. He is the short guy in the middle with the dark full head of hair and smile on his face. These were taken when he was home on leave. He was thirty-five and single when he went into the service. He did not marry until he was 43, and he was 46 when I was born. Here he is with his sisters, Sid and Greta. These were three very special people in my life, they all loved me unconditionally. I miss them. wonderful family memories + great recipe = sweet friend! Thank you for sharing! Thank you my friend, so thankful for our friendship!